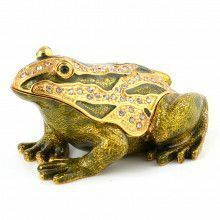 This spotted frog trinket is made from pewter and hand painted with thick enamel. 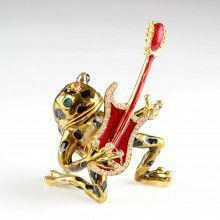 It opens up at the mouth, and closes securely with a magnetic clasp. Great for storing small earrings or other jewelry items! It is shipped in its own satin lined gift box.